Which is too bad. 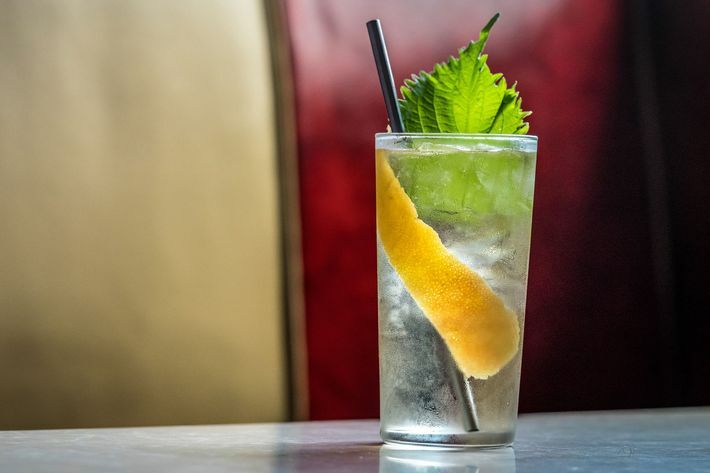 Well-made highballs are delicious drinks that are entirely their own thing: mellow and softer, the flavors stretched out and subtler. The bubbly water takes off the edge, and highlights more aromatic, floral, and bittersweet qualities. Especially during the summer, when every drink should be bubbly. “I think, first off, the simplicity of the highball is so nice. Just making this one thing be more delicious and refreshing,” says Natasha David, who owns Nitecap and is one half of the duo behind the menu at the newly opened the Hidden Pearl. At their most basic, highballs are a mix of a base spirit with a larger amount of soda, maybe with a wedge of lime or some other citrus. Some are as complicated as the mojito, which requires muddling lime, mint, and sugar. The drinks are so ubiquitous and easily understood that people don’t even think about them as belonging to a category. Within the cocktail world, highballs are right now at the convergence of various trends. They’re long and effervescent like spritzes, won’t clock you with booze like Old Fashioneds, and are the antithesis of overcomplicated, wonky drinks. Some highballs people drink and make are classics, like rum and cokes. Others, to use cocktail parlance, are what you might call Improved Highballs, spruced up with a couple of ingredients. The best additions are aromatic: bitters in a whiskey soda, something like herbaceous Chartreuse in a gin-and-tonic. The simplicity translates into something that’s purely about the spirit and, bartenders agree, plays nice with dinner. Like a lot happening in cocktails, any trendiness, and more specifically the whiskey soda, can be traced back to Japan. Bartenders in Japan have turned the drink into a craft, catching the attention of Americans like Cecchini, whose menu includes a Scotch and Soda. Nodding to Japan, and for “a small aromatic overlay,” he adds shiso leaf and a grapefruit twist. 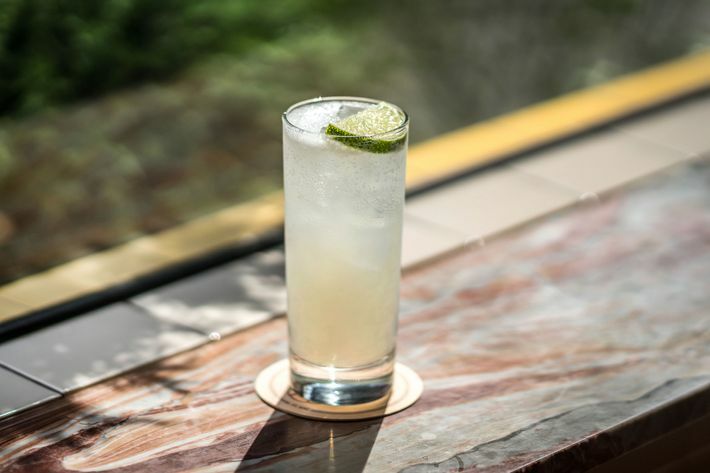 At Karasu, the Hawkeye Highball is made with a refreshing mix of Suntory Toki whiskey and house green-apple soda. Kenta Goto changes nothing for his Toki Highball at Bar Goto: The glass and whiskey are kept in a freezer until the order, and the drink is made with an exact ratio of one part Suntory Toki whiskey to four parts soda. He takes a decidedly Japanese (bartending) approach. 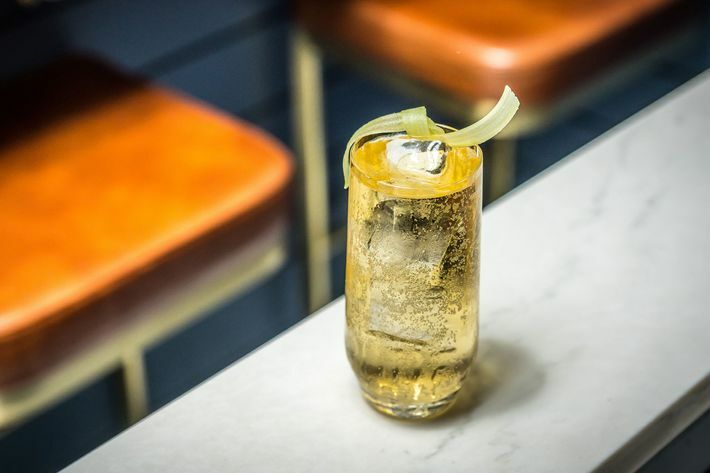 “We believe the beauty of a whiskey highball is ‘simplicity,’ the right harmony of whiskey and soda,” Goto tells us. Whiskey sodas, though, are just the beginning. Goto has served other highballs, like the sake-and-shochu-based Nippon Spritz and Bamboo Tonic, an elongated version of the classic. But some new bars are staking out more territory for highballs. At Frenchette, Sarah Morrissey felt compelled to do so. When the well-regarded bartender Masahiro Urushido opens Katana Kitten this summer, he’ll also have a highball section. Planned drinks include a Melon-Lime Soda, with Absolut lime and Midori, and a Toki Highball with lemon oil and kuome. And since 2016, the Cubanish BlackTail has had a highball section with drinks like a mojito and the laborious rum and coke. Even if they’re not explicitly advertised, you’ll find advanced versions all around town. At Existing Conditions, Don Lee and Dave Arnold, the king of the cocktail nerds whose intensive style is the opposite of highball Zen, serve a Carrot-Vodka Soda with orange syrup and clarified lime. 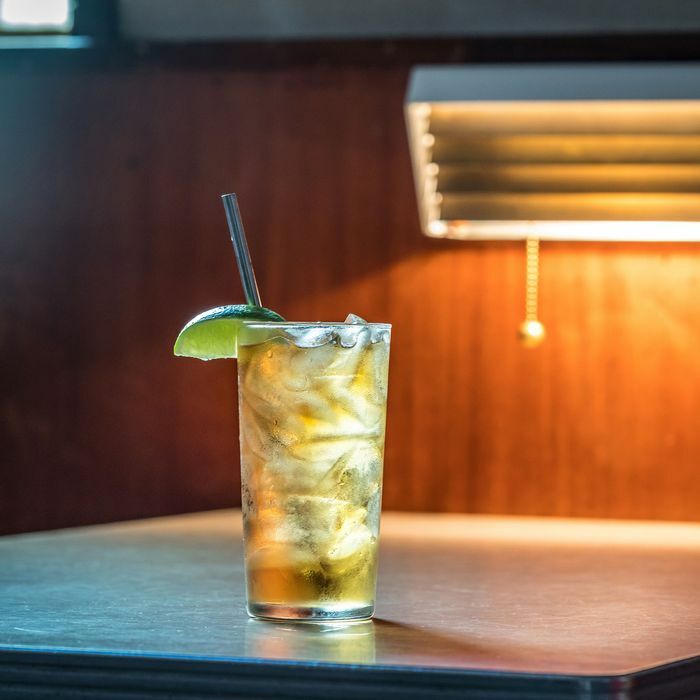 Some of the best highballs, not just rum and cokes and Dark and Stormies, are booze and sugary soda: Bed-Stuy’s rollicking Lovers Rock serves Jamaica’s Rum & Ting, a dangerous mix of Wray & Nephew rum and grapefruit soda, and Txikito peddles the Ginkas, gin with Kas Limon. Even when a highball isn’t on the menu, a good cocktail bar will make one with better technique and ingredients. Cecchini also felt compelled to make his Scotch and Soda because he spent thousands on his soda system; the seltzer gets carbonated at the tip of the faucet. Go there and ask for the odd-sounding but great rum-and-tonic and you’ll be asked, “White or dark?” Choose the latter — which you should — and the bartender will pour earthy, molasseslike El Dorado 8-Year. Or for a whiskey soda at Blue Quarter, where the bartender will pour Jarritos Mineragua down a swizzled bar spoon to better incorporate it. Unless requested, they won’t add anything else but whiskey. It’s not complicated. Why bother when the drink is already this good?